Our ImuPro 180 Food Intolerance Test is an upgraded package for someone who wants to discover if their troublesome symptoms are related to food intolerances. This mid-level test analyzes a sample of your blood serum against 180 of the most common trigger foods. 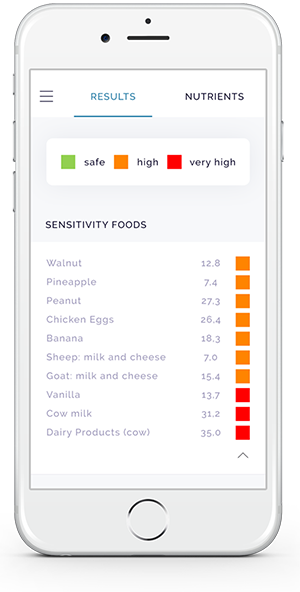 Compared to our most basic food intolerance package, you get twice as many food triggers analyzed with the ImuPro 180 Food Intolerance Test. This gives you a more extensive overview of which foods may be causing your food-related issues. The ImuPro 180 Food Intolerance Test assesses your blood serum via enzyme-linked immunosorbent assay (ELISA) testing. ELISA testing identifies and analyzes your blood for any possible food-specific IgG antibodies. 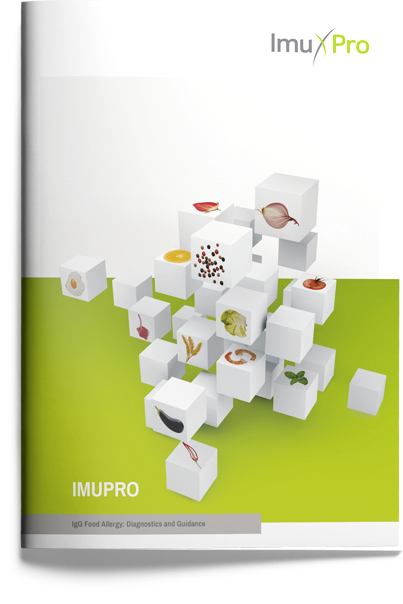 The ImuPro 180 can identify up to 180 of the most common food triggers. From this large list, the test categorizes these triggers based on how they affect the IgG antibodies in your blood. Here is the full list of tested foods in the ImuPro 180 Food Intolerance Test. Not Elevated: Indicates that you are not intolerant to this food. Elevated: Indicates that you may have a mild intolerance to this food. Highly Elevated: Indicates that you may have a severe intolerance to this food. An analysis of 180 different potential trigger foods. Our mid-level package gives you a comprehensive list of 180 potential food triggers that may be causing your food intolerance symptoms. Maybe this test can give you answers! A more comprehensive list of trigger foods is assessed in this package and includes meats, poultry, fruit, vegetables, cereal, grains, dairy products and eggs. It is a step up from the basic package since the analysis for spices, thickening agents and preservatives are also included. A descriptive report of your test results. A report is generated with your results to help you analyze the data of your test. You will see which foods are classified as “Not Elevated,” “Elevated” and “Highly Elevated” so that you can start changing your diet instantly. Your own custom nutrition recommendations. To help you make sense of the results and the necessary changes you will need to make to your diet, we provide nutrition recommendations specific to you. Based on your results, you will receive information on how to eliminate possible trigger foods. 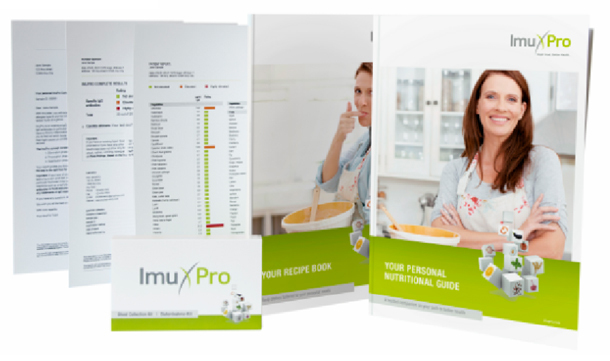 The ImuPro 180 Food Intolerance Package also comes with a helpful recipe booklet to help you cook meals with your non-trigger foods. These nutrition recommendations and booklet will help you start cooking and feeling better! A detailed analysis of your food intolerances. You will be able to access your results at any time via your mobile phone. 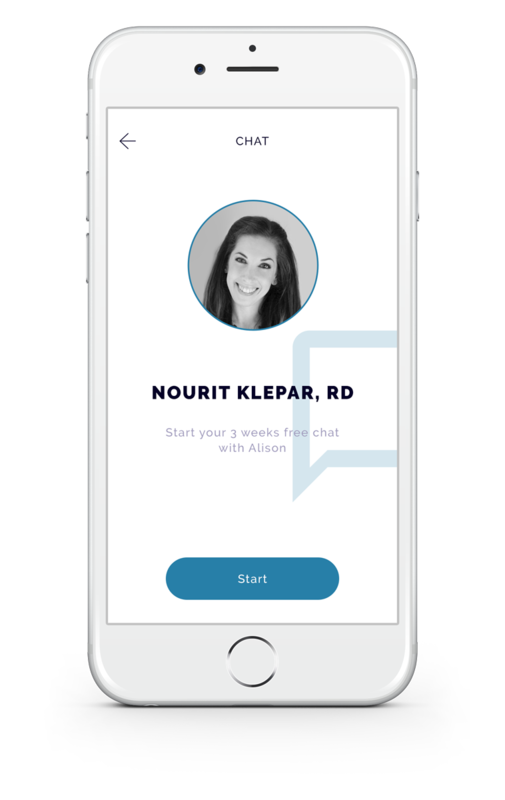 When you are on the go, you can refer back to your results. The analysis breaks down trigger food based on meats, dairy, fruit, vegetables, grains, spices and food preservatives. 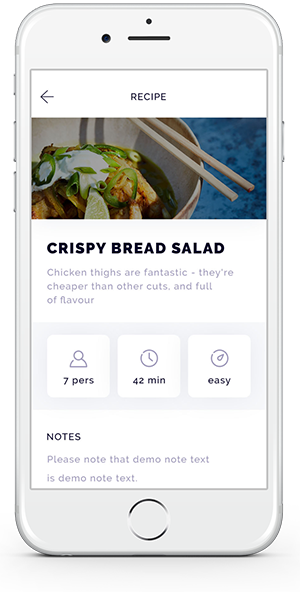 Extra tailored recipes fit for your needs. 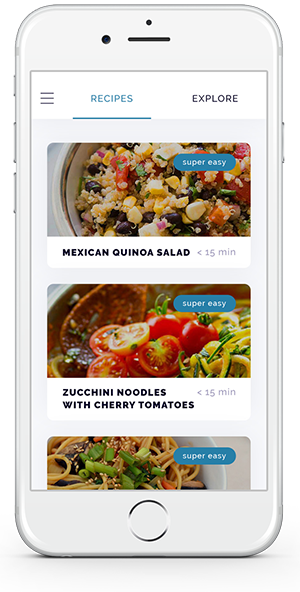 You will also receive extra monthly recipes to try that align with your new dietary needs. These can help you develop new cooking skills and try new recipes to implement in your diet. If you are looking for the most comprehensive food intolerance test available, learn about the ImuPro 270. For those looking for the most cost-effective package provided, check out our basic ImuPro 90.